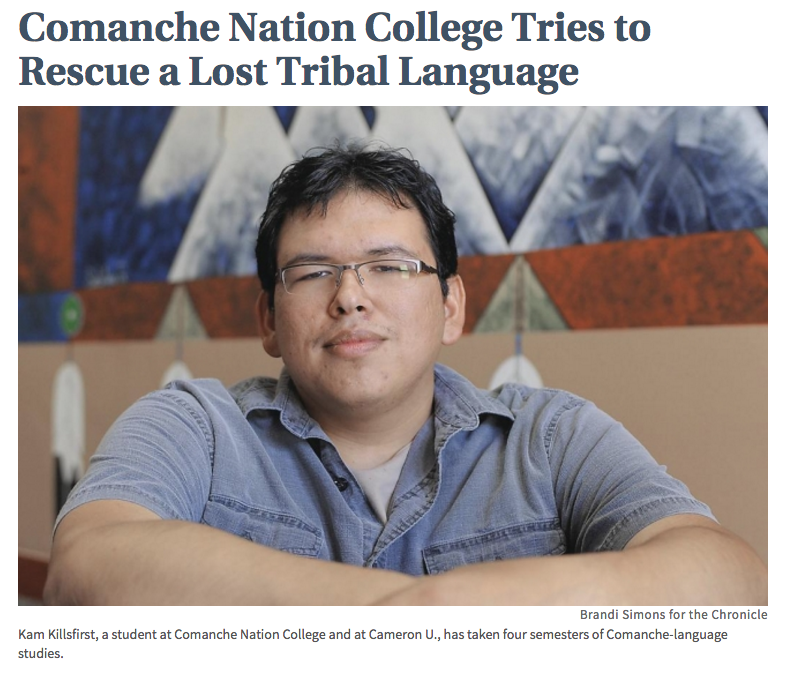 A two-year tribal college in Lawton, Okla., is using technology to reinvigorate the Comanche language before it dies out. Two faculty members from Comanche Nation College and Texas Tech University worked with tribal elders to create a digital archive of what's left of the language. Only about 25 people nationwide speak Comanche, down from about 15,000 in the late 1800s, they estimate.